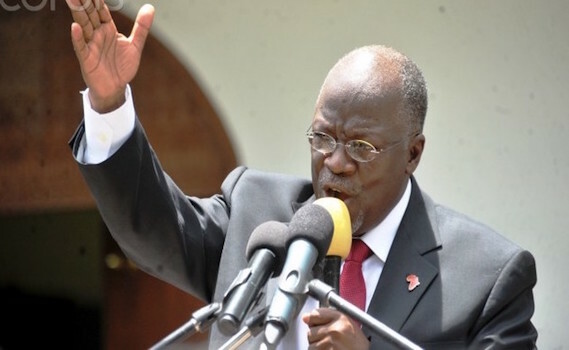 On Friday afternoon, Tanzanian President John Magufuli showed nearly 10,000 civil servants doors, including high ranking officers, for forging and or using other people’s academic certificates to obtain their current positions, it was reported. The dismissals came amid reports claiming the country has been losing at least $10 million a month in salaries and benefits to 19,708 ghost workers. “Right from now, those public servants using forged or other people’s certificates are dismissed. Further actions including sending to court for forgery will follow,” said the president. A government investigation begun last October found 9,932 people it said had faked their secondary school qualifications, a number equivalent to two percent of the country’s civil service. “The 9,932 employees recruited on the basis of false diplomas will not receive their salary for this month of April and have to leave their positions immediately,” Magufuli said. In a nationally televised public address from the capital Dodoma, Magufuli also ordered an immediate salary suspension for 1,538 civil servants pending investigation. The government is set to announce 60, 000 posts following its initial plans to recruit in the coming 2017/2018 financial year. Magufuli said the posts would be filled by “qualified persons” as soon as possible and called on local media to publish the names of those fired. Since winning election in 2015, Magufuli has maintained his fight on corruption and misuse of public funds.